He raps about Justin Bieber, Reese Witherspoon, and the attack at the Ariana Grande concert. "The release of BODIED has me feeling nostalgic about battle rap so I headed down to my old stomping grounds." 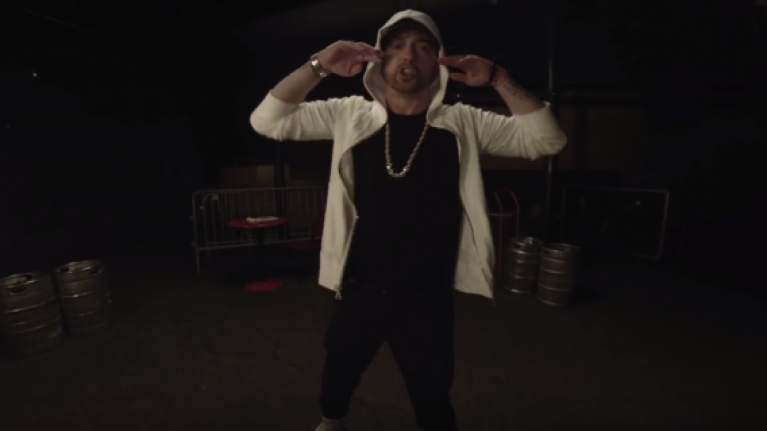 That is what Eminem told his Twitter followers, stating that with the release of his exec-produced battle rap movie (more on that here), he decided to go back to The Shelter at St. Andrew’s in Detroit (a setting that fans of 8 Mile might recognise) to get back into battle rap himself. I have to be stomped by forty men to suffer a defeat. Eminem is far too talented for his subject matter to still be what it is at 46 years old. That’s where the disconnect is. His fanbase grew up, he didn’t.